Niamh’s novel The Herbalist was nominated for an IMPAC, and won ‘Newcomer of the Year’ at the Irish Book Awards. Her unpublished poetry collection was highly commended by the Patrick Kavanagh Award and she won The Hennessy ‘New Irish Writer of the Year’ in 2012. Obligatory opening question, Niamh – when did you first begin to write? I always wrote diaries full of fragments, poems and drawings, but that was a very private way of writing – I didn’t start writing to be read, or consider that possibility, until around 2008 after I’d taken some short story workshops with John MacKenna and got hooked on the form. Soon after one of my stories was nominated for a ‘Hennessy Award’ which encouraged me to keep going. And how long were you writing for before you were published for the first time? My first story ‘Wild Cats Buffet’ was published by Crannog Magazine in Spring 2009, I’d been writing for a few months at that stage. My first novel, The Herbalist, was published in 2013, which was five years after I began to write, and three years after I’d written it. The Herbalist was one of the winners of the Irish Writers Centre Novel Fair Competition in 2012. The Novel fair involved meeting twenty different agents and publishers and pitching your work to each of them for a short period of time. My novel was picked up by Penguin Ireland as a result of that fair, and published in June the following year. With regard to your writing practice, Niamh, do you write every day? No, I wish I did! I write for a few hours, four days a week. I fit writing in around my paid job and family commitments. Once the school holidays start I’ll probably switch to writing either very early in the morning or very late at night. I’ve learnt to be flexible though it can be frustrating. And how long does it take you to complete a book? They are all different, some are slower than others. First drafts of novels – I write quickly (a matter of months) and second drafts take (much, much) longer. I write short stories quite quickly, a day or two, but revise them over a couple of weeks, the same with poetry. Is your work genre specific? I write in a variety of genres, short story, poetry, novels. My favorite form is the short story, I find them very satisfying to write. I like the fact that every word has to do its work. On representation, do you have an agent and do you think it necessary to have one? I don’t have an agent at the moment, but I’ll probably be looking later in the year. I think they’re necessary for some writers, especially those who want to be traditionally published, but perhaps not for others. It all depends on the genre, the publishers you’re aiming to work with, and what kind of rights you want to sell. Then you probably contribute to the marketing / PR of your work? When my book was published I did a lot of readings, interviews, workshops, articles, panels, and blog tours. I decided that for six months I’d say yes to everything I was asked to do. Luckily lots of booklovers and arts administrators from various libraries, bookshops, literary festivals, writing groups invited me to work with them. Awareness of the book was high due to the fact that I’d won the IWC Novel Fair, and The Hennessy XO Writer of the Year in the previous months. Lots of the PR was done by my publishers. Cliona Lewis, Penguin’s PR, organised interviews on RTE and Newstalk radio, TV3, and with journalists, and was great to work with. Are you comfortable with the social media side of PR? It’s a good way of being connected, especially if you live in a rural area. That’s why I started blogging, to find out about submission opportunities and connect with other writers. That has changed, people don’t interact by commenting on blogs anymore. Perhaps Facebook has taken over – FB can be a good resource, and a bit of fun, but a little addictive. Social media has given everyone a free platform to market their work, which can make it a repetitive place to be, when there is always someone pushing their work. On the other hand, I’ve found poetry and novels I’d never have come across otherwise. I like that there are no gatekeepers. You’ve won some prestigious awards, Niamh. Do you think they are important? They generate interest in the book, The Herbalist won Newcomer of the Year at the Irish Book Awards, and was nominated for an IMPAC, both of which were very positive things. Awards keep books and writers in the newspapers, and literary competitions give writers encouragement to keep writing. I’m new to publishing, but I get the impression its in a state of flux – I like that writers can self-publish if they want to, there seem to be a lot of creative options, but I do wish bookshops were doing better. I think it’s very positive for writers, and readers. Have you, or would you, consider self-publishing your own work? I self-published a book of poetry and prose dedicated to my uncle, Tom English, through Lulu.com – friends and family contributed and I edited and wrote some poems. It was very easy, and really rewarding. I’ve never had a negative review from a professional reviewer, but I’ve had the odd one or two on amazon which were rather spiteful, and wrongheaded – I just complain to my partner, and then forget about them. Disagree, write what you please! Let nothing limit you. Name six people, living or not, that you would like to share your favourite beverage with? I’d like a pint of Guinness or two with Louise Bourgeois, Bette Davis, Robert Mitchum, Joyce Carol Oates, Angela Carter and John Lennon. Don’t seek feedback too early, trust your own gut and finish your novel, don’t seek approval. Hold on tight to the enjoyment you get from words. Remember why you write. Thanks Niamh, that last question was worth a try anyway! 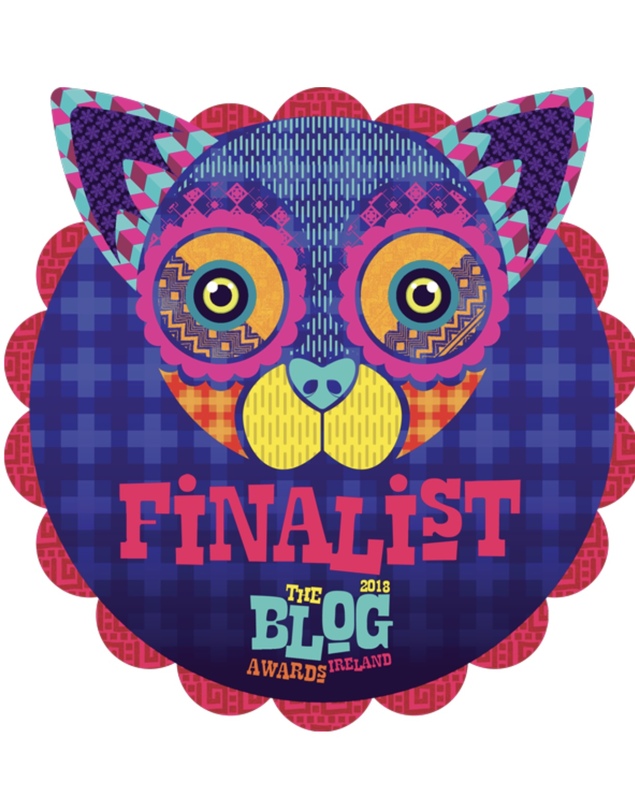 This entry was posted in Writers in Ireland Series and tagged Female Authors in Ireland, Irish Writers, Irish Writers Centre Novel Fair Competition, Niamh Boyce, The Herbalist. My comment didn’t work! Excellent, advice. Niamh. Good writing advice. Trusting instinct is so important. I can’t wait until you have another book out!